Mobile Web is the current hot web topic and is a "must have" feature of any meaningful web presence. 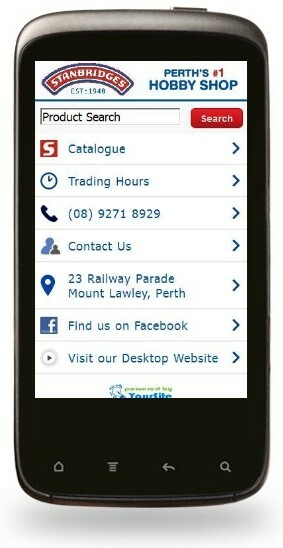 A mobile web presence is important even for simple "brochure" websites. If you have ever tried to read a regular web page on a mobile phone then you will understand why ... if not then you should try it now! As part of our commitment to keeping your site up to date and providing all the facilities that you might expect, a simple mobile 'landing' page is provided as part of every YourSite installation. All YourSite installations have a simple mobile 'landing' page defined for them. The first time the host server detects a mobile device it will be redirected to the 'm' domain rather than the 'www' domain. 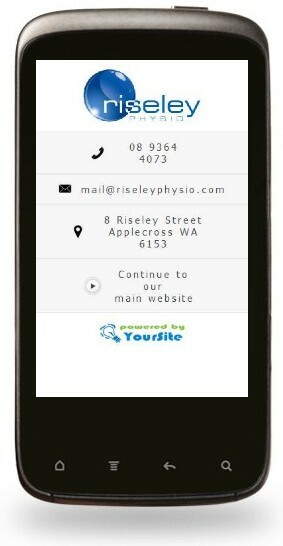 This is a page that will display the contact details for the website and the Riseley Physiotherapy mobile landing page is a good example. A mobile 'website' however will encompass many of the features of the core desktop website including a product catalogue in the case of e-commerce sites. Stanbridges Hobby Shop mobile web site is a good example of a comprehensive mobile site. So whether you just need to be sure that your clients can easily read your phone number when they look you up on their mobile phone or want to a mobile equivalent of your desktop website you should Contact Us now to discuss your requirements.